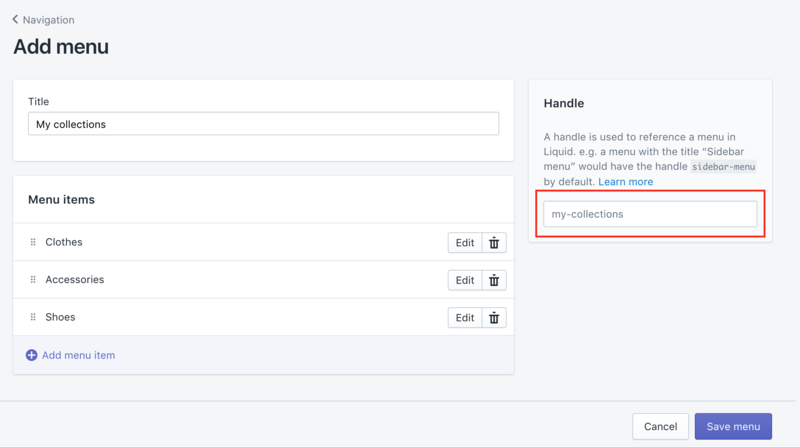 By default, Shopify only allows to have one page to display your store collections (you cannot create different "collections of collection", as you can do with product). This is definitely frustrating. 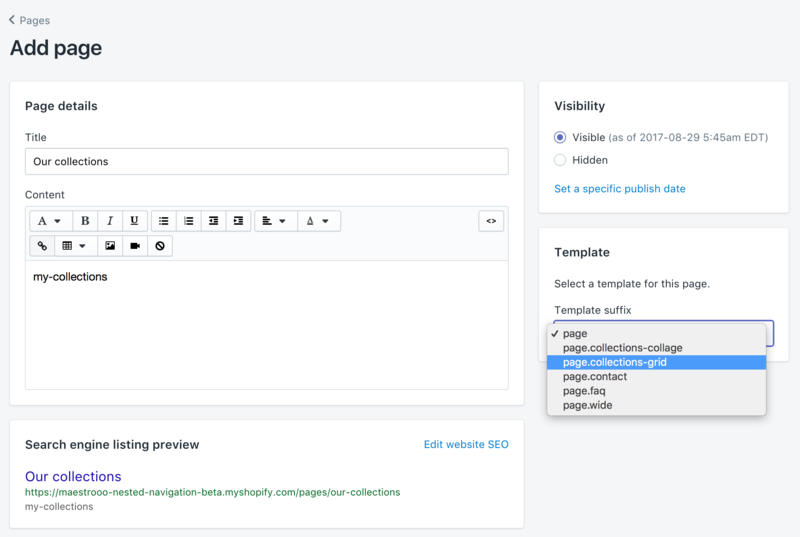 To make it easier, our themes come with a simple way to create pages that display list of collections. If you have a lot of collections, you can therefore organize your navigation so that your main menu redirects to different "list of collections" page. Here is how you can take advantage of this feature. Create a new menu that will hold links to collections. To do that, you need to open the "Navigation" page in the Shopify admin, or simply click here if you are already logged. Make sure that your links are only pointing to collections. If you have links that are pointing to products, they will be ignored. Write down the handle (outlined in red below). In this example the handle is my-collections. We will need it later. Make sure that our theme is the published theme. If our theme is not the published theme, you will not be able to see the theme specific alternate templates. Save the page to create it and make sure to add this page to your navigation to make it accessible to your visitors.